The journey to having glowing skin has never been an easy one. With a renewed love of dewy cheeks and a bright complexion dominating the media in recent years, there is no wonder that people are beginning to prioritize their skin health. The best part about skin health is that you can improve it by taking care of your general health. The tricky part is finding out exactly what you can do to help, as there are many tips out there which can cause more harm than good to your skin. Ideally, you should follow some old but golden tips, which will help you on your way to having great skin in no time. While there are lots of things you should be consuming, there is also an abundance that you should not. This is not only for the benefit of your skin, but your overall health. Having an alcoholic drink within the recommended daily limit won’t cause any negative impacts on your skin. Some drinks, like red wine, may even bring benefits. However, when it comes to cigarettes and drugs, your complexion can become pale and dull over time if you develop an addiction. Sometimes it’s best to complete a drug detox programme to ensure your body, mind, and skin remain healthy. It is widely acknowledged that you should stay hydrated every day for your body to stay healthy and your mind to stay sharp. However, drinking enough water will also give you a clear complexion in a way that many other treatments may not. To achieve this glow, you should aim to drink between six and ten glasses of water each day. While this may not remove any severe issues like acne, you will notice that your skin becomes suppler and softer after just a few days of staying hydrated. 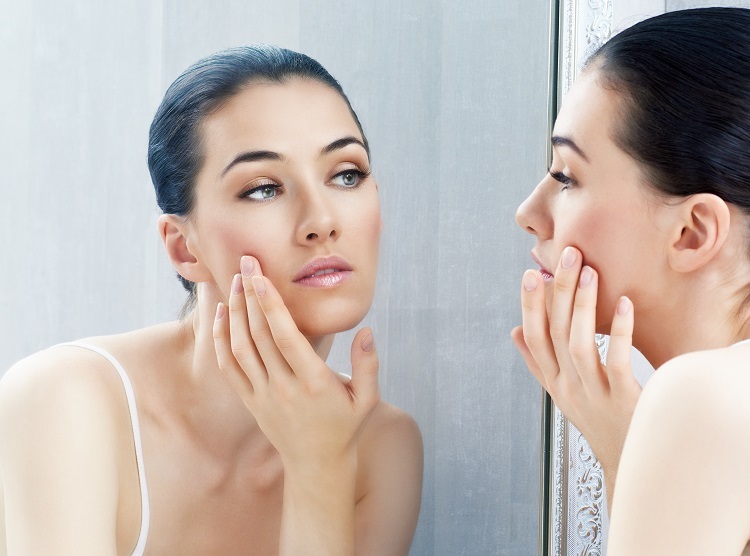 As with most things, the way you treat your body can also affect your skin. In fact, foods which are full of additives and sugar can wreak havoc on your complexion, while foods rich in vitamins and anti-oxidants can be a huge help. Consuming such foods is easy, as most of the vitamins you need can be found in fruits and vegetables like pomegranates and oranges. You can also try making your own face masks out of fruits, as their anti-oxidants can help when also applied directly to the skin. The biggest mistake when it comes to skincare is applying the wrong products to your skin. It’s easy to feel as though a product will work for you if celebrities and beauty bloggers have been endorsing it, but it is unlikely to if it causes your skin to react badly. Luckily, finding out your skin type is easy. Once you know what skin type you have, you can target your search for products and find the best ones to suit you. You could even make your own at home so that you aren’t adding any harmful chemicals onto your skin. In a short while, you should see a marked improvement. Inkblaat’s: Comfortable odor preventing insoles! Stuff All Your Stockings With Sydney’s Sweet Soaps!